The plus size clothing market is approximately worth £4.7 million and brands are extending their sizing range daily, it makes sense that big name brands are now including plus size models, (size 12 and above is considered plus size, so that’s the majority of women! ), in their advertising campaigns. It is a sure sign that the industry is taking note that diversity is needed and Models Direct are delighted to be able to represent many of these models. Models Direct is a commercial modelling and talent agency, therefore we have a more varied demand from our clients for the types of models and talent we represent and have done since the agency was created, this is why ‘size’ is not a consideration for us! For a long time, women (and men!) have been influenced by the stereotypical body type we have been exposed to in the media and in the fashion industry, but a very small percentage of us fit that mould – hardly any of us! Therefore you could argue it is not relateable to the consumer, creating a relateable marketing campaign is key when selling a product. 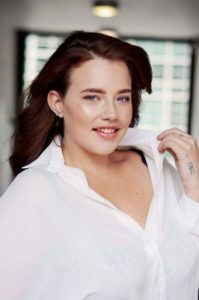 Models Direct have always represented plus size models, though ‘plus size’ is not a term we like to use, they are beautiful and often very talented. The average female in the UK is a size 16, so a plus size model can vary from a size 12 upwards, simply depends on the the type of modelling they are being considered for. If you are interested in modelling, have a unique look and are 12 size or above then please visit www.modelsdirect.com. This entry was posted in Beauty, Commercial Models, Curve Models, modellingagency, Models, Models Direct, Plus size modelling and tagged Curve, Curve Models, Fashion, Modelling Industry, Models, Models Direct, plus-size models by The Models Direct Admin. Bookmark the permalink.